Vincent Kompany says Manchester City have no intention of easing up in their relentless charge through four competitions - no matter who the opponent. The runaway Premier League leaders and Carabao Cup finalists delivered yet another powerful statement as they thrashed Swiss champions Basel 4-0 in the Champions League last 16 on Tuesday. 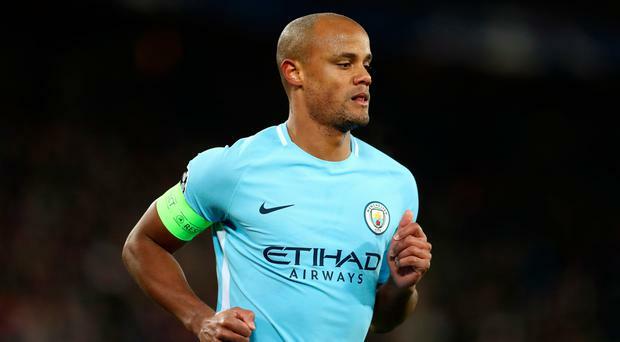 The emphatic victory all but guaranteed Pep Guardiola's side a place in the quarter-finals but captain Kompany insists there will be no drop in intensity for the second leg at the Etihad Stadium next month. And the Belgium defender's words could also serve as a warning to League One leaders Wigan, who are City's next opponents in the fifth round of the FA Cup next week. Kompany said: "It's cliche but our mindset is just focus on the next game. We have just as much desire to play well against Wigan on Monday as we did here in Basel. There will be no difference. "We will also go into the League Cup final with the same kind of preparation and self-belief as we did for the game here and, as long as that doesn't change, and the intensity stays at that level, every game is exciting for us." Kompany felt City hit a high level on a freezing night at St Jakob-Park and could even have scored more goals. He said: "The key thing for me was the effort was just as good as in all previous games. Our intensity in covering the ball, our passing, our movement - there were so many good things to take out of this game."